Our teaching will continue in Torah, The Law of Moses. AND THE TITLE OF OUR MESSAGE IS, REBELLION IN THE WILDERNESS, PART 3. And with that said, let’s read Numbers 17.1-13 in the Christian Bible, or Numbers 17.16-28 in the Hebrew Bible. Because of their bitter complaining against Moses and Aaron, the Anointed of GOD, The LORD killed the 250 Jewish rebels who initiated the rebellion, and carried it out. And The LORD also killed 14,700 from the Congregation of the Children of Israel by a plague for joining in the rebellion with the rebels against Moses and against Aaron. CHRISTIAN BIBLE, NUMBERS 17.1-5, HEBREW BIBLE, NUMBERS 17.16-20 Now The LORD is putting an end to this rebellion by having Moses speak to the People of Israel, and take from each of the chiefs of the twelve tribes one rod. A rod being a tree branch. And inscribe on the rod each tribal leader’s name. And inscribe Aaron’s name on the rod of Levi. And lay the rods up in the Tabernacle of the Congregation before the Testimony where I shall meet with you there, The LORD said. Thus Moses was commanded by GOD to lay the twelve rods up in the Holy Of Holies by the Ark Of The Covenant inside the Tabernacle. The Ark Of The Covenant is also called the Testimony or the Ark Of Testimony where GOD met with Moses. The Ark Of The Covenant at the time contained the two tables of The Law made of stone that had the Ten Commandments written on them by the Finger of GOD. Later, the entire Book of The Law of Moses containing all GOD’S Laws was placed inside the Ark Of The Covenant along with the two tables of stone having the Ten Commandments written on them. LISTEN TO THIS. THE ARK OF THE COVENANT CONTAINED GOD’S COVENANT. GOD’S COVENANT IS HIS WORD WRITTEN IN THE BIBLE, AND HIS LAW, HIS LAW OF MOSES THAT INCLUDES THE TEN COMMANDMENTS. AND GOD’S COVENANT IS AN EVERLASTING COVENANT THAT NEVER CHANGES. GOD’S COVENANT, HIS WORD AND HIS LAW WERE IN THE ARK OF THE COVENANT. GOD ALSO CALLS THE ARK OF THE COVENANT, THE ARK OF TESTIMONY, OR THE TESTIMONY BECAUSE GOD’S WORD AND HIS LAW ARE HIS TESTIMONY THAT WERE IN THE ARK. (Exodus 25.16) The Testimony is the Ten Commandments written on two tables of stone. (Deuteronomy 31.26) The witness against the Children of Israel is The Word of GOD, and His Law of Moses that the People will break after Moses dies. (Isaiah 54.5) GOD is The GOD of the whole earth. Thus GOD’S Word and His Law of Moses are for all mankind everywhere. Not just for the Jewish People. And GOD said to Moses, continuing in Numbers 17, it shall be that the man’s rod whom I shall choose will blossom, and I will make to cease from ME the complaining of the Children of Israel which are complaining against you. CHRISTIAN BIBLE, NUMBERS 17.6, HEBREW BIBLE, NUMBERS 17.21 And Moses spoke to the Children of Israel, and every one of the tribal chiefs gave him a rod. And the rod of Aaron was among their rods. CHRISTIAN BIBLE, NUMBERS 17.7, HEBREW BIBLE, NUMBERS 17.22 And Moses laid up the rods before The LORD in the Holy Of Holies, by the Ark Of The Covenant in the Tabernacle Of Witness. GOD also called the Tabernacle in the wilderness, the Tabernacle Of Witness, or the Tabernacle Of Testimony for the same reason GOD called the Ark Of The Covenant the Ark Of The Testimony. Because GOD gave His Testimony and Witness to Moses in the Tabernacle. GOD’S Testimony and Witness that GOD gave to Moses in the Tabernacle was His Word and His Laws that are written in The Law of Moses. For all mankind to do them. GOD’S Testimony and Witness are Law. They are forever. And they never change. CHRISTIAN BIBLE, NUMBERS 17.8, HEBREW BIBLE, NUMBERS 17.23 And the following day, Moses went into the Tabernacle Of Witness, and the rod of Aaron of the house of Levi blossomed. It was budded, and brought forth buds. And it bloomed blossoms of flowers, and yielded almonds. The other rods were, well, nothing but sticks. And Aaron’s rod blossomed overnight. CHRISTIAN BIBLE, NUMBERS 17.9, HEBREW BIBLE, NUMBERS 17.24 And Moses brought out all the rods from before The LORD to all the People of Israel. And they looked. And each tribal leader received their rod with his name on it. Reuben, this is your rod, Moses might have said. Reuben looked at his branch and saw, well, nothing but a stick. Judah, this is your rod, and the same as Reuben. Nothing. And so on as the heads of the tribes received their rods. But Aaron’s rod of the tribe of Levi blossomed with flowers, and buds, and sprouted almonds overnight. The Bible is sort of nonchalant about this miracle of GOD, Aaron’s rod budding overnight with flowers and almonds from a bare branch. Not only did GOD confirm that He had chosen Aaron to continue on being His High Priest, but GOD provided yet another miracle in the sight of His People making a rod, probably just a plain old stick, blossom with flowers, and sprout almonds overnight. The miraculous, wonderful power of GOD that cannot be explained, or understood except by GOD Himself. My guess is that as GOD spoke the Creation into existence, GOD spoke Aaron’s rod into blooming and blossoming with flowers, and sprouting almonds. And Aaron’s rod bloomed and blossomed with flowers, and sprouted almonds. THERE IS NOTHING IMPOSSIBLE FOR GOD. CHRISTIAN BIBLE, NUMBERS 17.10-13, HEBREW BIBLE, NUMBERS 17.25-28. And The LORD said to Moses, bring Aaron’s rod again before the Testimony. That is the Ark Of The Covenant, to be kept as a token. That is to say, a warning to the children of the rebels so that their complaining against Me stops. And they will not die. And Moses did as The LORD commanded him. And the Children of Israel spoke to Moses, saying, See, we’re going to perish. Anyone who so much as ventures near The LORD’S Tabernacle will die. Shall we be consumed to die? I have a question for you. Do you have any problems? Even major problems? A sickness or worry, or anything that is causing you to complain about someone, or even complain about GOD? Bring it to The LORD in prayer. And GOD will hear you, and deliver you. But wait on The LORD and trust Him. Disputes are arguing, or being doubtful. Also, you might search The Scriptures, and perhaps GOD will give you His answer there. I do that often. Life is not easy. That we all know. It’s a battle almost daily. And life was a battle for Jacob also whom GOD called Israel. And GOD always delivered Jacob from his troubles. So be like Jacob. Close to GOD, and obeying GOD. (Matthew 6.33) Pray to GOD. Seek Him first, and His Righteousness. As GOD is Righteous, living His Life according to His Word, and according to His Laws that are written in The Law of Moses, you also should be Righteous living your life by The Word of GOD, and His Law of Moses. And everything you need in life will be given to you. (Matthew 6.34) Don’t worry about tomorrow. Tomorrow will worry about itself. Today has enough evil in it already. (Jeremiah 20.9) I was weary, holding your Word back, speaking in Your Name. But I just could not. I have to speak out. I have to speak Your Word, and Your Name. Revive in Hebrew is KHY, Life. Those who inherit the earth, inherit eternity. In conclusion, The One Who delivers is The LORD. So wait on Him, trust Him, and He will deliver you from all your troubles, from all your afflictions, and from all your fears. And He will give you the desires of your heart. Shalom. Our teaching of The Law of Moses will continue from Numbers 16.36-45 in the Christian Bible, or Numbers 17.1-10 in the Hebrew Bible. AND THE TITLE OF OUR MESSAGE IS, REBELLION IN THE WILDERNESS, PART 2. And with that said, let’s read NUMBERS 16.36-45 in THE CHRISTIAN BIBLE, or NUMBERS 17.1-10 in THE HEBREW BIBLE. Let’s quickly review the beginning of this Rebellion in the Wilderness. Korah, a Levite, and two men from the tribe of Reuben assembled a rebellion in the wilderness against Moses, and against Aaron with another 247 men from the Congregation of The Children of Israel. Men of renown, The Bible says. Men who were famous in the Congregation, and leaders of their Tribes. An Korah the Levite spread the rebellion to all the Congregation to rebel against Moses and Aaron. These people wanted to take over the leadership from Moses, and replace Aaron the High Priest, and his sons, the Priests with their own choices from the Tribe of Levi. But GOD did not take kindly to this rebellion against His anointed, Moses and Aaron. And The LORD killed the 250 rebels. GOD opened the earth under them, and swallowed them up, and their houses, and all their belongings, and all their goods. And they went down alive into the pit. And the earth closed upon them and they perished from among the Congregation. And there came out fire from The LORD, and consumed the 250 rebels who rebelled against Moses and Aaron. CHRISTIAN BIBLE NUMBERS 16.36-38, HEBREW BIBLE NUMBERS 17.1-3 GOD told Moses to tell Eleazar, the son of Aaron the Priest to remove the censers, that are fire pans, out of the charred ashes because the fire pans are Holy. And scatter the smoldering coals far away at a distance. And take the fire pans of these sinners, the 250 rebels who have sinned against their own souls, and hammer the fire pans into sheets for a covering for the altar. For those 250 rebels brought their fire pans before The LORD. Therefore, the fire pans are Holy, The LORD said, and shall be for a sign and a warning to the People of Israel. CHRISTIAN BIBLE NUMBERS 16.39-40 HEBREW BIBLE NUMBERS 17.4-5 So Eleazar the Priest took the copper fire pans which had been used by the rebels for offering fire and incense before The LORD. And Eleazar the Priest took the 250 fire pans and had them hammered into plates for a covering of the altar to be a memorial and reminder to the People of Israel that no outsider, one not of Aaron’s offspring, should come near to offer incense before The LORD that they should not suffer the fate of Korah and those rebels who followed him, as The LORD said to Moses. CHRISTIAN BIBLE, NUMBERS 16.41 HEBREW BIBLE NUMBERS 17.6 But the following day, all the Congregation of Israel complained against Moses and Aaron, and blamed them, saying, You have killed the people of The LORD. 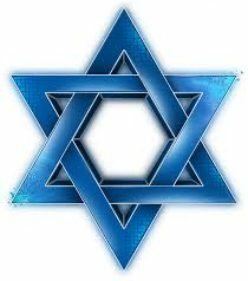 I see Israel, the Jewish People in the days of Moses some 3,400 years ago when GOD delivered His People out of Egypt as a Child Spiritually pertaining to GOD. I believe His People knew very little about Their GOD, The Holy One of Israel, The GOD of the whole earth. Yes, they had some foundational knowledge of GOD. Much more so than all other peoples, through events, traditions, and history handed down from Abraham, Isaac, and Jacob. And the Children of Israel, seventy People with Jacob who came into Egypt from Canaan in the days of Joseph, Jacob’s son, when Joseph was governor of Egypt under Pharaoh. But during their 400 years of slavery after Joseph died, I believe their knowledge of GOD was very little. There were no Holy Scriptures at the time, but tradition, beliefs, customs, laws, and doctrines, and historical events handed down from generation to generation. However, and this is very important, in the wilderness immediately after the exodus from Egypt to their Promised Land, the Land of Israel, The LORD their GOD began teaching His People by the hand of Moses. GOD began teaching His people His Laws, Teachings, Instructions, and Guidance called The Law of Moses, and called the Torah in Judaism that GOD requires All His People to live by. GOD taught His People in His Laws to live in Righteousness. To live in GODLINESS and HOLINESS. Doing that which is Lawful and Right, Pleasing to GOD, for their good, for their health, for their prosperity and success. GOD taught His People how to behave. He taught His People about family and family relations. Marriage and divorce. How to raise our children. GOD taught His People Righteousness and Holiness, and GODLINESS. GOD taught His People Laws for murder, theft, fraud, and punishment. HE taught His people about foods that are permitted to eat, and those that are prohibited. GOD taught His people about His Sabbaths, and His Festivals. He outlaws idolatry, paganism and magic in His Laws and Teachings. And He teaches blessings for obeying His Law of Moses, and curses for disobeying His Law of Moses. And so much more. And also very important, GOD taught His People in the wilderness that His Laws, Teachings, Instructions, and Guidance STAND FOREVER. GOD teaches us in The Bible To train up a child, that is to discipline the child according to GODLY Rules, Teachings, Instructions, and Guidance. To produce in the child, GODLINESS, Good Character, Good Behavior, and Obedience to his or her parents. And punishment to correct the child in the way he and she should go. And even when they grow old, they will not depart from it. Judaism understands that The Torah, The Law of Moses is His Teaching, and Guidance, and Laws that The GOD of Creation has given to them as a Special Gift for their Righteousness. But the world outside of the Jewish People are blinded and will not receive GOD’S Great Gift of His Laws that are written in the Law of Moses. And that is unfortunate. Yes, Jewish People are still learning about GOD. Many are happy to learn the written Word of GOD. While others are not interested in learning about their GOD, Whose Name is Holy. Back to our study in Numbers 16 in the Christian Bible, and Numbers 17 in the Hebrew Bible. CHRISTIAN BIBLE NUMBERS 16.42-50, HEBREW BIBLE NUMBERS 17.7-15 All the Congregation of the Children of Israel was complaining bitterly against Moses and Aaron, accusing them of killing the 250 rebels, the people of The LORD, they said. And while they were complaining, all the Congregation looked toward the Tabernacle, and the Cloud covered the Tabernacle, and The Glory of The LORD Appeared. And Moses and Aaron went to the front of the Tabernacle. And Moses and Aaron fell on their faces. And Moses said to Aaron, take your fire pan, and put fire in it from the altar. And put incense in the fire, and go. And hurry to the Congregation and make atonement for the People, for there is wrath going out from The LORD. And The LORD began the plague. And Aaron did as Moses said. And he RAN into the midst of the Congregation, and the plague began in the People. And Aaron put incense in the fire in his fire pan, and he made atonement for the people. And Aaron stood between the dead and the living. And the plague stopped. And those who died of the plague were 14,700, besides the 250 rebels who followed Korah. And Aaron returned to Moses at the door of the Tabernacle, and the plague stopped. 1 CORINTHIANS 2.10 GOD reveals His wisdom to us. What we are to know and learn from Him. His Teachings, His Laws, His Guidance, our Conduct, the Way we should go. ALL WRITTEN IN GOD’S LAW OF MOSES IN THE FIRST FIVE BOOKS OF THE BIBLE TO DO. BUT THEY ARE REVEALED TO US THAT WE MUST DO THEM BY HIS SPIRIT, THE HOLY SPIRIT, WHO IS GOD HIMSELF. 1 CORINTHIANS 2.11 The Only One Who knows GOD is GOD Himself, The Spirit of GOD. The Spirit of GOD is GOD ALMIGHTY, HA SHEM. 1 CORINTHIANS 2.12 Now we have not received the spirit of the world that rejects GOD by rejecting His Law of Moses. (PSALM 2.3-4) By breaking the bands of GOD and His Anointed, MESSIAH YESHUA, and casting away their cords, the heathen reject GOD’S Teachings in His Law of Moses. And He that sits in the Heavens shall laugh. The LORD will mock them. 1 CORINTHIANS 2.12 Those things that are freely given to us by GOD is knowing that we must live by all GOD’S Laws that are written in The Law of Moses. Knowing there is Only One GOD. Knowing that the trinity of three different gods is wrong. AND KNOWING THAT GOD ALMIGHTY IS YESHUA THE MESSIAH. 1 CORINTHIANS 2.13 The Holy Spirit, Who is GOD ALMIGHTY, HA SHEM, teaches us, and guides us into all Truth. Thus we speak the Truth, The Word of GOD that is written in The Bible that includes all GOD’S Law of Moses. We do not speak the words that man’s wisdom teaches, but we speak the words which The Holy Spirit teaches. Comparing spiritual with spiritual, which is comparing Truth with Truth that is written in The Bible including The Law of Moses that GOD Himself teaches HIS PEOPLE in the first five Books of The Bible. 1 CORINTHIANS 2.14 The natural man has very little to no understanding of GOD. And the natural man proves it by rejecting GOD’S Law of Moses. And the natural man shows it by believing in the trinity or a triune god that is three different gods. The natural man does not receive the Truth taught by The Spirit of GOD for it is foolishness to him. But the natural man receives the words that man’s wisdom teaches. MATTHEW 13.9 Having ears to hear is having ears that hear the Spiritual Teachings of GOD ALMIGHTY, YESHUA THE MESSIAH, AND DOING THEM. MATTHEW 13.11 The Mysteries of the Kingdom of Heaven are the Mysteries of GOD. MATTHEW 13.14-16 Having ears Not to hear, and eyes Not to see, and a heart Not to understand, is Spiritual blindness. Not having the Holy Spirit. Showing it by Not Obeying GOD. THAT IS NOT OBEYING HIS LAWS THAT ARE WRITTEN IN THE LAW OF MOSES. So how does man receive The Holy Spirit, Who teaches the things of GOD, Who teaches the Truth of GOD, Who guides you into all Truth, Who searches all things, even the deep things of GOD, and reveals to you the things that are freely given to you by GOD? You receive the Holy Spirit by receiving The New Covenant that is Messiah Yeshua for the forgiveness of your sins. And GOD will put His Law of Moses in your inward parts, and write it in your heart for you to obey His Law. And GOD will be your GOD, and you will be His People. And GOD will forgive your iniquity, and remember your sin no more. THAT IS HOW YOU RECEIVE THE HOLY SPIRIT. HAVING FAITH IN MESSIAH YESHUA FOR YOUR ATONEMENT, AND LIVING YOUR LIFE ACCORDING TO TORAH, GOD’S LAW OF MOSES THAT IS WRITTEN IN THE FIRST FIVE BOOKS OF THE BIBLE. Shalom. Our teaching from The Law of Moses will continue from Numbers Chapter 16. AND THE TITLE OF OUR MESSAGE IS, REBELLION IN THE WILDERNESS. And with that said, let’s read Numbers 16.1-11. Korah, a Levite, and Dathan and Abiram from the tribe of Reuben assembled a rebellion against Moses and Aaron in the wilderness. And they brought with them other men. Two hundred and fifty men of the Congregation of Israel to the revolt. Men of renown. Men that were famous. Leaders and rulers of their tribes. And eventually the rebellion spread to the entire Congregation against Moses, and against Aaron. And they said to Moses and Aaron, You make yourselves too mighty seeing that everyone in the Congregation is Holy. And The LORD is among them. Why do you exalt yourselves above the Congregation? Being Holy is obeying The LORD GOD. Doing what He says. GOD appointed Moses the leader of His people. And the LORD appointed Aaron to be the High Priest. And when Moses heard the words of the rebels, he fell on his face. Perhaps out of shock. Perhaps knowing what these men were bringing upon themselves. Knowing they were not revolting against Moses and Aaron. They were revolting against GOD. Finding fault with The LORD and His Authority. And Moses worshiped GOD and prayed. And Moses rose up, probably very slowly in his old age, and he said to Korah, the leading trouble maker, and all the rebels, Tomorrow The LORD will show you who are His, and who is Holy. And He will cause the one who is Holy and Chosen to come near to Him. VERSES 6 & 7 This do, Moses said. Tomorrow, all of you take censers, which are fire pans, and put fire and incense in them before The LORD. And the man that The LORD Chooses will be Holy. And Moses said to the Levites, you take too much upon yourselves, you sons of Levi. VERSES 8-10 And Moses said to Korah the Levite, and to all the Levites, listen now to me you sons of Levi. Is it too small a thing for you that The GOD of Israel has separated you from the Congregation of Israel to bring you near to The LORD your GOD to do the service of the Tabernacle of The LORD? And to stand before the Congregation to minister to them? He has brought you and all your brothers the sons of Levi with you. And you seek also the Priesthood? You seek to replace Aaron and his sons? VERSE 11 And Moses continued speaking. You and all your followers have banded together against the LORD. And who is Aaron that you should rage against him? VERSES 12&13 And Moses called for Dathan and Abiram, two of the three who started the uprising. And they said, We will not come up to you Moses. But they had some choice words for Moses, GOD’s Anointed. Is it too small a thing that you brought us up out of Egypt out of a land flowing with milk and honey to kill us in the wilderness? And you seize rule over us, and make yourself a Prince over us? VERSE 14 Yes, Moses, you have not brought us into a land flowing with milk and honey, or given us fields and vineyards to inherit. You can put out the eyes of these men. We will not come up to you. VERSE 15 And Moses was angry. He was hot with anger. These men were being foolish and stupid. It wasn’t Moses’ idea to free the Children of Israel from four hundred years of Egyptian slavery, and bring them into the Promised Land, the Land that was to be their Homeland, the Land of Israel that The GOD OF ISRAEL gave to the Jewish People for an everlasting possession. Nor was it Moses who sought to be the leader of the People to lead them out of Egypt. GOD chose Moses for all the right reasons. Why do men seek the power of another when it is not theirs to have? It only lands them in serious trouble, and ends in tragedy for the troublemaker, or the troublemakers. As this revolt in the wilderness will end in disaster for the troublemakers. So Moses said to The LORD in the presence of the rebels, “Do not respect their sacrifices.” Meaning, I believe, don’t accept their sacrifices for atonement. Or their false devotion to You, or their offerings of thanksgiving to You. They are GODLESS men. I have not taken one donkey from them. Nor have I wronged any of them. VERSE 18 And they did as Moses said. The following day they each took their fire pans, and put fire in them. And put incense in the fire. And they stood at the door of the Tabernacle. The two hundred and fifty men, with Moses and Aaron. VERSE 19 AND KORAH ALSO GATHERED ALL THE CONGREGATION AGAINST MOSES AND AGAINST AARON TO THE DOOR OF THE TABERNACLE. AND THE GLORY OF THE LORD APPEARED TO ALL THE CONGREGATION. Certainly, The LORD did not have to read those words to make His decision. The trouble makers had to go. VERSES 23&24 And The LORD said to Moses, “Speak to all the Congregation and tell them to withdraw from the dwelling places of Korah, Dathan, and Abiram. And they withdrew from the tents of Korah, Dathan, and Abiram. And Dathan and Abiram came out, standing at the door of their tents, and their wives, and their children, and their little ones. VERSES 28-30 And Moses said, “By this you shall know that The LORD has sent me to do all these works. That they are not of my own mind. If these people die as all people die, if their lot is the common fate of all mankind, it is not The LORD Who has sent me. VERSES 34&35 And all Israel who were around them fled at the cry of them. And the people said, “Lest the earth swallow us up. Had these men FEARED GOD, and LOVED HIM with all their heart, and kept His Commandments, as GOD commands everyone, none of this would have happened. Most people think that the fear of GOD is reverence, worship, and respect. And that is true. But the fear of GOD also means To Be Frightened Of GOD, and Afraid of Him. And to reverence Him, and worship Him, and respect Him. Fearing GOD causes you to obey GOD. The fear of the LORD causes you to obey His Word and His Laws that are written in The Law of Moses, FOR YOUR GOOD. Because the wrath of GOD can be extremely severe at times when people provoke Him and despise Him by not obeying HIM. By not obeying All His Laws that are written in HIS Law of Moses. Posted on August 14, 2016 August 15, 2016 Categories Shabbat MessageLeave a comment on REBELLION IN THE WILDERNESS. WHY WE TEACH THE TORAH, THE LAW OF MOSES. Shalom. Our teaching from The Law of Moses, The Laws that GOD gave to Moses for Israel and all people everywhere will come from Numbers 15-37-41. AND THE TITLE OF OUR MESSAGE IS, WHY WE TEACH THE TORAH, THE LAW OF MOSES. And with that said, let’s read Numbers 15.37-41. The reason we teach The Torah, The Law of Moses is because GOD commands people everywhere to obey His Law of Moses, and do them. We teach The Law of Moses because GOD commands us to choose Life that we will live. Choose Life in Hebrew is VAH’KHAR KHA’YEEM. The Hebrew for Life in this verse is a plural word, LIFES. Therefore GOD says, Choose Life by obeying His Law of Moses, and The LORD your GOD will reward you with a good Life on earth, and eternal Life in Heaven. The reason we teach Torah, The Law of Moses is because GOD commands us to obey it. (James 1.25) Being blessed in his deed is being blessed for doing The Law of Moses. (JOHN 14.15-16) When believing in Yeshua The Messiah, Jesus Christ, and obeying His Law of Moses, GOD will give you The Holy Spirit, The Spirit of Truth that will guide you into all Truth. The Torah, GOD’S Law of Moses, teaches all mankind GOD’S Laws that GOD requires man to observe and obey. The Law of Moses teaches GOD’S Teachings, His Instructions, His Guidance, His Wisdom, and His Laws, Rules, and Commandments. The Law of Moses teaches us how to be Blessed. And the reason for being Cursed. Blessings come from obeying The Law of Moses. Curses come from disobeying The Law of Moses. The Law of Moses written in the first five Books of The Bible covers every area of behavior, including murder, theft, fraud, damages, marriage, and divorce. How to raise our children, and family relations and sexual relations. And land possession. The Law of Moses teaches righteousness, and what unrighteousness is. The Law of Moses teaches about the foods that are permitted by GOD, and prohibited. The Torah teaches GOD’S Sabbaths, and The LORD’S Festivals for all mankind. The outlawing of idolatry and pagan practices. The Law of Moses teaches labor laws, and judicial process. GODLINESS and HOLINESS. And The Law of Moses teaches how to live a Life pleasing to GOD. The Law of Moses teaches mankind how to achieve prosperity and good success. And The Law of Moses teaches that breaking The Law of Moses is sin. 1 John 3.4. And The Law of Moses teaches obedience to GOD, and that there is only one GOD, not three different gods. And The Law of Moses predicts the coming of THE JEWISH MESSIAH YESHUA, WHO IS ELOHIM, GOD ALMIGHTY, HA SHEM, THE FATHER. And prior to Messiah’s first coming as a man, The Law of Moses shows the many appearances of The Messiah Yeshua, Who is GOD ALMIGHTY, ELOHIM, THE FATHER, appearing to Adam and Eve, Noah, Abraham, Isaac, Jacob, Moses, and so many others. GENESIS 49.18, DEUTERONOMY 18.18-19, GENESIS 17.1, ETC. BECAUSE THE CHURCH HAS ABOLISHED GOD’S LAW OF MOSES ENTIRELY, THEY HAVE WALKED AWAY FROM GOD AND DEPARTED FROM HIM ENTIRELY. As you well know, The Torah, The Law of Moses begins in Genesis Chapter 1 with the Creation, and the history of mankind. And then focuses on the family of Abraham, which through his son Isaac, and his grandson Jacob become the Jewish People, the People of Israel whom GOD CHOSE TO BE A HOLY PEOPLE TO THE LORD THEIR GOD. And God chose the Jewish People to be His witnesses to all the world to tell all people everywhere about GOD from His Law of Moses, and from the Jewish Prophets, and from the Jewish Writings of the Psalms and Proverbs, etc. And from The Jewish New Testament written by Jewish Writers writing about the Jewish Messiah Yeshua. THESE JEWISH WRITERS OF THE BIBLE TEACH MANKIND ABOUT GOD FROM THE WORDS AND TEACHINGS OF GOD THAT THE GOD OF ALL CREATION SPOKE TO THEM DIRECTLY. AND THESE JEWISH WRITERS OF THE BIBLE WERE NEVER TOLD BY THE LORD THAT HIS LAW OF MOSES WOULD END, BUT THAT IT REMAINS FOREVER. NOR DID THE LORD GOD EVER TELL THEM THAT GOD WAS A TRINITY OF ONE GOD MADE UP OF THREE DIFFERENT GODS. BUT THAT GOD IS ONE AND THERE ARE NO OTHER GODS. THOSE LIES ARE CHURCH INVENTIONS. THESE JEWISH MEN TAUGHT IN THEIR WRITINGS IN THE BIBLE HOW TO RECEIVE ETERNAL LIFE IN HEAVEN FROM GOD ALMIGHTY BY HAVING ATONEMENT IN THE JEWISH MESSIAH YESHUA, AND OBEYING ALL HIS LAWS THAT ARE WRITTEN IN THE LAW OF MOSES. (MATTHEW 5.17) The word fulfill means complete. Messiah came to complete The Law and The Prophets. (MATTHEW 5.18) For verily, Messiah said, I say unto you, Till Heaven and earth pass, one jot or one tittle shall never pass from the Law till all is fulfilled. The word fulfilled means ended. The Law will never pass, or go away until all is “ended”. Heaven will never end. Neither will GOD’S Law Of Moses ever end. The Law of Moses is forever. (MATTHEW 5.19) The least in The Kingdom of Heaven that is GOD’S Kingdom, is hell. However I knew that teaching The Law of Moses would be a very unpopular subject because the Church has abolished it entirely, and their membership has bought into that deception. None of the above is true. And none of the above is taught anywhere in The Bible. It is demonic teaching, and a repeat of satan’s performance in Genesis 2.15-17 and Genesis Chapter 3. Sadly, many Jewish People who have been brought up Orthodox, or Conservative, or Reform, or in Reconstructionism, or having little or no Jewish teaching receive The Jewish Messiah Yeshua, but become members of a Church, or the wrong Messianic Congregation that teaches The Law of Moses is done away with completely, or not binding, or optional, or pray about it. That robs them of the blessings of GOD. It robs them of being Holy to The LORD their GOD because they continue to sin against GOD by breaking His Law of Moses. As Peter wrote, They are like a dog that has turned to his vomit, or the hog that was washed only to return to wallowing in the mud. Believing in Jesus whether the person is Jewish or not does not free them from the obligation of obeying GOD, and His Law of Moses. BELIEVING IN JESUS DELIVERS THEM FROM THEIR SINS. (MATTHEW 11.28-30) Messiah’s yoke is His Law of Moses. His burden that He carries is His Law of Moses. And it is light. And Messiah will give you rest when you obey His Law of Moses, and learn of Him. The Torah scroll called in Judaism KEHTEHR TORAH, The Crown Torah, that has written in it all GOD’S Laws called The Law of Moses from Genesis through Deuteronomy, is considered the Holiest object of Jewish life. THE REASON THE SON, MESSIAH YESHUA KNOWS THE FATHER IS BECAUSE MESSIAH YESHUA THE SON IS THE FATHER. AND OF COURSE, THE FATHER KNOWS WHO THE SON IS BECAUSE THE FATHER IS ALSO THE SON, THE MESSIAH YESHUA. And The Son reveals that extraordinary teaching to whom He will. LET’S LOOK AT SOME INCOMPREHENSIBLE TEACHINGS AND WONDERS OF ELOHIM, GOD ALMIGHTY. JEREMIAH 23.24 The word “Heaven” in Hebrew, as in “Do not I fill “Heaven” and earth, saith The LORD” is HA SHAMAHYEEM meaning, “The heavens, plural”. The heavens are everything throughout space. The sun, the moon, the stars, the planets, and heaven itself, and space. And I do not believe the heavens have a beginning or end. Like GOD Himself. Thus GOD fills them all with His Spirit. He is present everywhere throughout the heavens, and throughout the earth all at the same time. How beyond superhuman is that? Thus for GOD, The Mighty GOD to be The Father, The Son, The Messiah, The Spirit, The Holy Spirit, Melchizedek, an Angel of The LORD is routine for GOD. THERE IS ONLY ONE GOD. NOT THREE DIFFERENT GODS AS TAUGHT IN THE TRINITY. A fellow by the name of Zophar spoke these words about GOD in Job 11.7-9. In Verse 8, the word Heaven in Hebrew is SHAH’MAH’YEEM meaning heavens. Whether GOD is higher than the heavens or Heaven, GOD is beyond Mighty. And GOD is deeper, exceeding deeper than hell. And GOD’S measure extends longer than the earth, and broader than the sea. Nobody but GOD Himself can search out GOD perfectly. And very important is this. GOD is the Life of every living creature. Every human, every animal, every plant, and every living thing. Now our study Verses of Numbers 15.37-41. GOD said to Moses, speak to The Children of Israel that they make fringes, or TSE’STEET in the corners of their garments forever throughout their generations. For them to look upon the TSE’STEET to remember ALL The Commandments of The LORD, The Law of Moses, and do them. Looking upon the TSEE’STEET on the four corners of our clothing, causes us to remember and do all GOD’S Laws that are written in The Law of Moses. And to be Holy to our GOD. And GOD says, I AM The LORD your GOD Who brought you out of the land of Egypt to be your GOD. I AM The LORD your GOD. SO WHY DO WE AT BETH ELOHENU MESSIANIC CONGREGATION TEACH THE TORAH, THE LAW OF MOSES, AND TO DO THEM? BECAUSE GOD COMMANDS US TO LIVE OUR LIFE ACCORDING TO ALL THE LAWS THAT ARE WRITTEN IN THE LAW OF MOSES FOR OUR GOOD. AND FOR OUR LIFE. AND WE SUGGEST YOU DO THE SAME. Posted on August 7, 2016 August 10, 2016 Categories Shabbat MessageLeave a comment on WHY WE TEACH THE TORAH, THE LAW OF MOSES.